Vein Clinic Mentor - What Causes Varicose And Spider Veins? With summer comes extreme temperatures, and the last thing you want is to have to confine yourself to long pants that trap the heat because you are afraid to show off your legs. In addition to causing you pain, varicose and spider veins are not very attractive and can make you feel too embarrassed to let those areas show. If you are someone who suffers from one or both of these conditions, you may be wondering how this happened and what you can do to treat it. 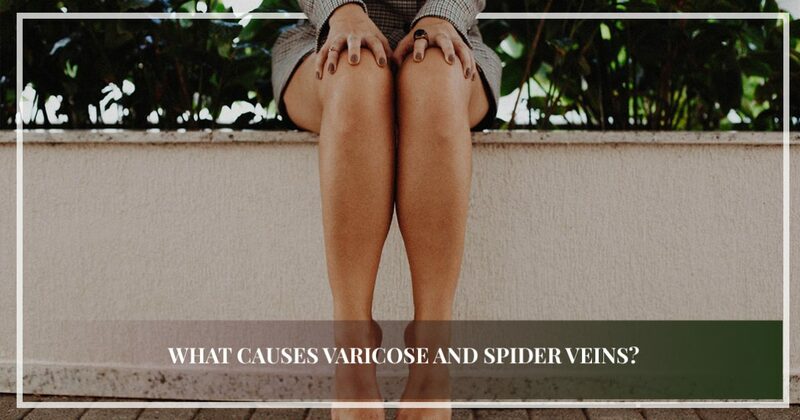 In today’s post, we will discuss the cause of spider and varicose veins and the types of treatments that you can receive. If you’re looking for a vein clinic that you can trust to provide you with the treatment you need, then look no further than Center for Advanced Vein Care in Mentor! For many years, Dr. Sonja Stiller has provided her patients with the relief that they deserve. Our vein clinic offers treatments for a variety of vein problems, including varicose veins, spider veins, restless legs, and more. If you are interested in learning more about how Dr. Sonja Stiller can help you, browse our website or contact Center For Advanced Vein Care today! In the meantime, continue reading below for more information about the causes of varicose and spider veins. Varicose veins are twisted, bulging, and often swollen veins that are raised above the skin. They are most commonly found in the legs near the ankle or calf and can appear to be red, blue, or even be the same color as your skin. Those who have varicose veins typically experience pain in the area, as well as swelling. Your heart pumps blood to different areas throughout your body with the help of your arteries. From there, the blood circulates back to the heart through your veins. If your veins are weak or damaged, it results in the formation of varicose veins. Because the blood being pumped from your legs to your heart against gravity, your veins have flaps that allow blood up, but don’t allow it to come back down. When these valves are damaged or weak, they don’t perform their job correctly, resulting in blood that pools in a certain area. This pooled blood is the cause of varicose veins. Spider veins are similar to varicose veins, but they are smaller and closer to the surface of the skin. As their name suggests, spider veins are tiny veins that branch off along the skin like a spider web. They often have a red or blue appearance. In most cases, they appear in the legs or on the face. Much like varicose veins, spider veins are caused by a backup of blood under the surface of the skin, which is why they often appear in the legs. However, spider veins can also be caused by hormone changes, pregnancy, injuries, and exposure to the sun. In many cases, spider veins don’t cause the individual any pain, but they may become an annoyance if they are in an area that is extremely visible and is not easily covered with clothing. That being said, there are cases in which the spider veins cause pain or an aching or burning sensation. If that is the case, there are a few treatment options available, both surgical and non-surgical. Spider and varicose veins are uncomfortable, painful, and can take a toll on your overall quality of life. If you’re tired of letting your veins make your decisions, then visit Center For Advanced Vein Care. Dr. Sonja Stiller has years of experience providing patients with the relief that they deserve. When you visit our vein clinic, you can find treatments and support for a variety of vein issues. Are you ready to take control of your life? Contact Center For Advanced Vein Care today!